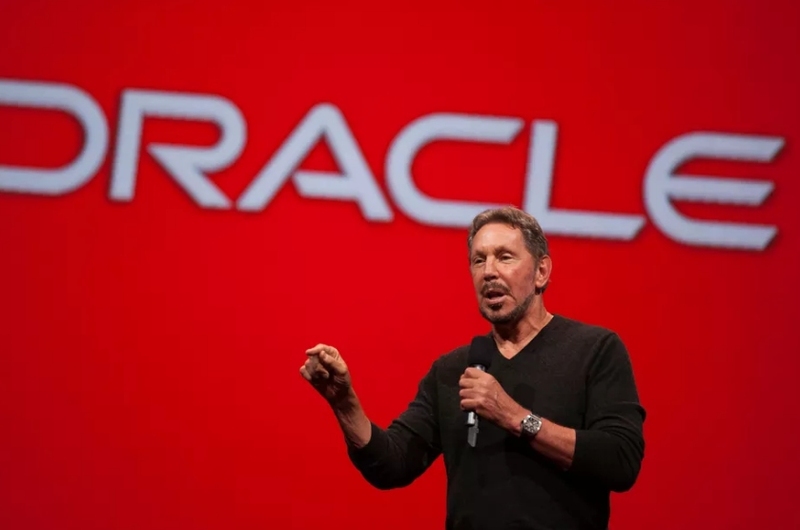 Oracle co-founder and CTO Larry Ellison said during his keynote speech at the annual Oracle OpenWorld customer, partner and developer conference in San Francisco on Sunday evening that Amazon’s lead [in the cloud market] is over. Ellison was of course referring to Amazon Web Services, the e-commerce giant’s popular cloud computing solution that launched a decade ago. The executive unveiled what Oracle is calling its second generation of cloud products and services. One product on display, an Oracle Dense Cloud IO bare metal cloud sever, offers up 36 CPU cores, 512GB of RAM and 28.8TB of solid state storage for just $5.80 per hour. Picking a fight with Amazon is admirable but Oracle certainly has a lot of ground to cover. As Fortune points out, Gartner recently said Amazon’s S3 cloud storage service hosts more than twice as much customer data as its next seven largest competitors combined. Morgan Stanley earlier this year estimated that Amazon Web Services brought in $7.9 billion last year – close to eight times as much as second-place Azure, Microsoft’s infrastructure-as-a-service offering. Given the massive scope of the undertaking, Oracle’s new services won't arrive all at once. Computerworld notes that Oracle’s western US cloud region based in Phoenix will be available beginning October 13 followed by an eastern region center that’ll go online by the end of the year. An expansion into England and Germany should be complete by June 2017. Every experience I've had with Oracle would make using them for any kind of 'cloud' anything a non-starter. batsdude and ikesmasher like this. Isn't this the same Oracle that has (or is is had now since it's dead?) major java security issues? The same java project that they DON'T want to support even though the entire world was using it? Didn't they start suing companies with regards to Java? yes...that's right they sued google. And when your personal data gets hacked and mined you'll love how your money was so well spent!